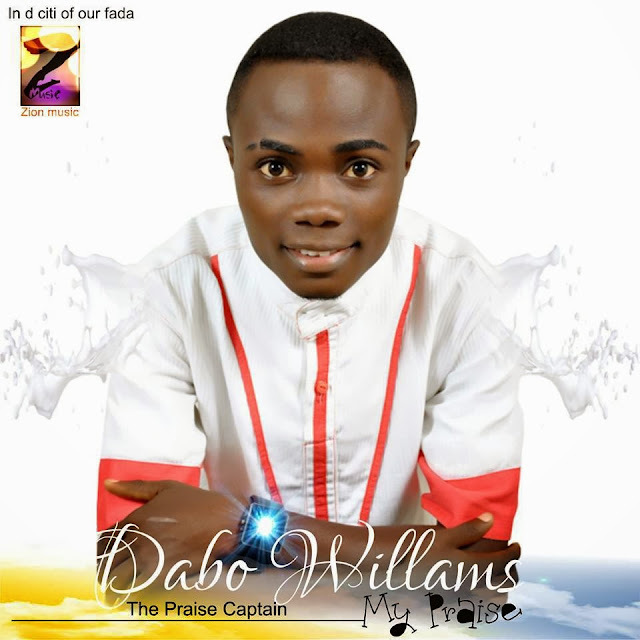 Dabo Williams' latest single is titled "Ebube" and he features PV Idemudia on this track. The song is more of a traditional Naija praise song, so be prepared. Dabo Williams popularly referred to as 'The Praise Captain' is here with his exclusive praise groove for you. He is another stunning gospel singer with a passion for making good music unto the Lord and taking God's praise all over in different church meetings, social gatherings & music concerts. In 2012 He stepped up his music ministry with his first official single “I Go Praise You” which gained quite a huge buzz with over 2,000 online Downloads. This is a brand new praise song from him titled 'Ebube' featuring Naija's dynamic vocalist - PV Idemudia. As the lyrics of the song run 'Na Praise be your food... Na me be your cook. You beautify my life see as the whole world dey look', The track is rendered in different languages giving adoration and thanksgiving song to God for his unending . Get your dancing shoes & groove to this new music.